Inspector Erlendur Returns In this Award-winning International Bestseller. 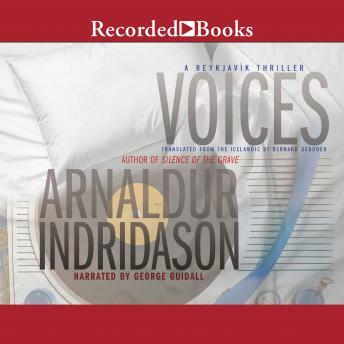 The Christmas rush is at its peak in a grand ReykjavIk hotel when Inspector Erlendur is called in to investigate a murder. The hotel Santa has been stabbed to death, and Erlendur and his fellow detectives find no shortage of suspects between the hotel staff and the international travelers staying for the holidays. As Christmas Day approaches, Erlendur must deal with his difficult daughter, pursue a possible romantic interest, and untangle a long-buried web of malice and greed to find the murderer. Voices is a brutal, soulful noir from the chilly shores of Iceland.